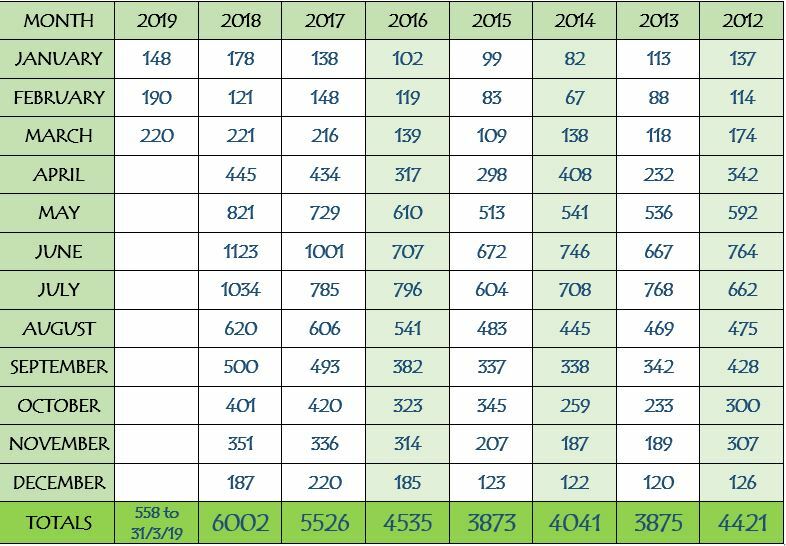 The top table shows the total number of wildlife casualties dealt with by Vale Wildlife Hospital in each month. The bottom table shows the breakdown of monthly casualties into bird, mammal, amphibian, reptile & ‘other’. Click here for a pdf listing the totals of each species for 2017. 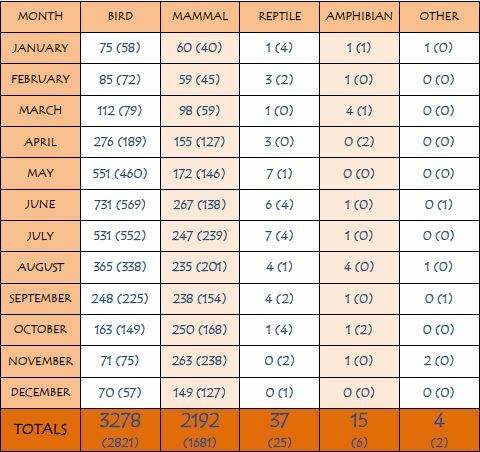 The table below shows the numbers of amphibians, birds, mammals and reptiles dealt with each month in 2017. ‘Other’ refers to any casualty which does not fall into one of these groups e.g. insects or fish. Figures in brackets are 2016 totals.